(Macao, Dec 11, 2017) – The Venetian® Macao has again been voted World’s Leading Hotel Dining & Entertainment Experience 2017 at the 24th Annual World Travel Awards. 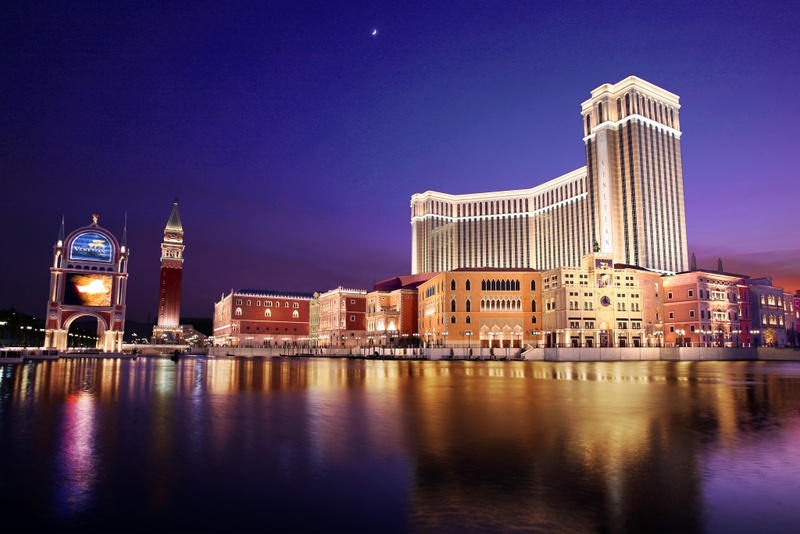 This is the ninth consecutive year The Venetian Macao has been honoured at the prestigious event, after picking up the same title last year and both Macau’s Leading Casino Resort and Macau’s Leading Resort at the Asia region awards held earlier this year. Announced at the 24th Annual World Travel Awards Grand Final Gala Ceremony 2017, the accolade reflects the integrated resort’s dedication to service excellence and highlights its success in the industry. “Sands Resorts Macao remains focused on enhancing our guest and visitor experiences and increasing the diversity of world-class family entertainment options available in Macao,” said Mark McWhinnie, Senior Vice President of Resort Operations and Development, Sands China Ltd. “To be recognised again by the industry, now for the ninth year in a row, is a great accolade. The World Travel Awards were established in 1993 to identify and reward the world’s best travel organisations. It has now developed into the most prestigious and comprehensive awards programme in travel and tourism and is acknowledged worldwide as the benchmark of industry excellence. WTA’s mission is to drive up standards within the industry and recognise brands that exceed expectations. The organisation is impartial and independent, with winners chosen according to seven criteria with votes cast by professionals in the travel and tourism industries as well as the public to reflect the growing role the awards play in influencing how consumers make their travel purchasing decisions. The voting works on a first-past-the-post system and votes are submitted on the World Travel Awards website. In line with its commitment to support the government’s push to develop Macao into a world centre of tourism and leisure while diversifying the city’s tourism economy, Sands Resorts Macao recently announced that it will be bringing a new line-up of family-friendly entertainment to the integrated resort in the form of Thomas & The Little Big Club ALL STARS, featuring some of the most popular characters from the world of children’s entertainment, from now to March 31, 2018. Other entertainment includes The Sound of Music at The Venetian Macao’s Venetian Theatre over Christmas and New Year; and huge concerts at the Cotai Arena featuring Hong Kong superstars Leon Lai and Hacken Lee and Joey Yung next month, and global sensation Bruno Mars coming in April 2018. Meanwhile The Venetian Macao’s outstanding Indian restaurant The Golden Peacock has been recognised by the Michelin Guide Hong Kong and Macau 2018 as “a very good restaurant in its category” and for the fifth year in a row been awarded a Michelin one-star rating. at the 24th Annual World Travel Awards. This is the ninth year it has been recognised at the prestigious event. For more information, please visit https://www.venetianmacao.com.